Ever since she can remember Marie Dry have wanted to travel and had the privilege to live in Zambia, Morocco and Spain as well as working for short periods in Brazil, Portugal, Zimbabwe and Mozambique. She see’s herself as a bit of a gypsy and every few years have to live someplace new. 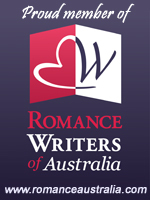 All her life she read romances and was fairly young when she decided she would write the perfect story that has all the elements she’s looking for in a romance. In 1997 she shared a pizza with a friend and promised her she would go all out with the writing and get published. Marie said it’s a wonderful experience to see the characters in her head coming to life on the page. Being published is a dream come true for me.